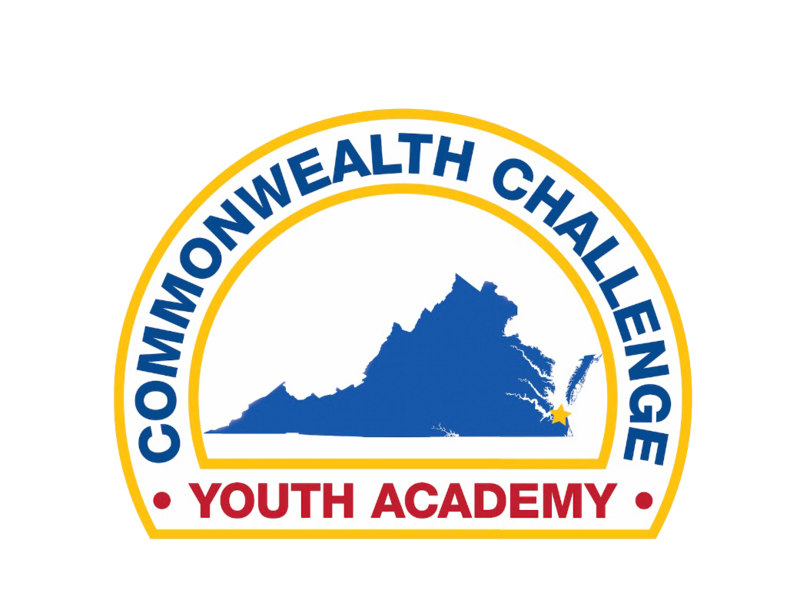 There are eight core components of the Virginia ChalleNGe program. 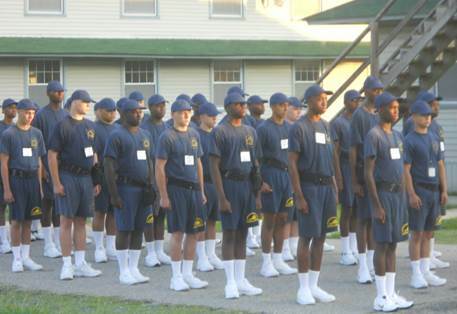 Cadets must successfully complete all eight components to graduate from the Academy. The core components are designed to educate and produce youth that will become productive members of the community upon graduation. 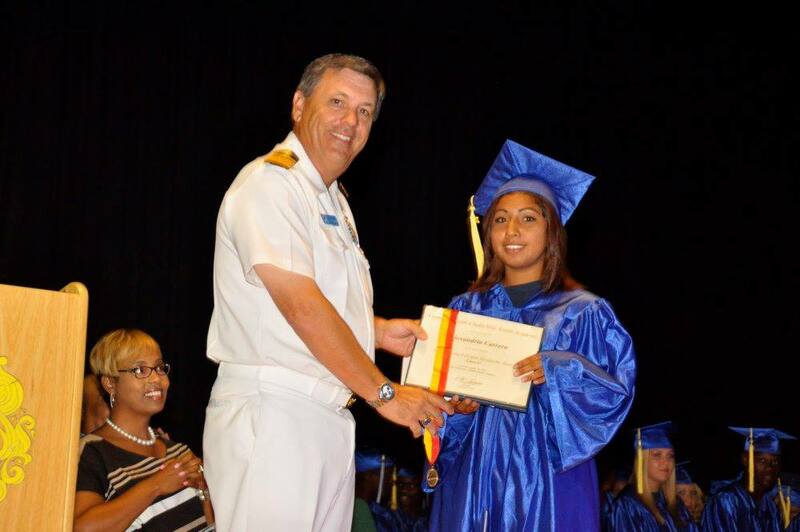 From academic excellence to life coping skills, cadets arrive at differing levels of ability, but all cadets will show improvement in the classroom and in daily living. In addition, they will gain job skills, and they will learn about and practice good health and hygiene. From there, cadets will develop skills in responsible citizenship and service to the community. They will also get first-hand experience in the areas of leadership/followership, and push themselves to new levels of physical fitness. All ChalleNGe participants attend daily academic classes that increase math and reading comprehension and prepare them for General Education Development (GED) credential testing. Evaluation of a cadet’s grade level progress during the Residential Phase is measured using the Tests of Adult Basic Education (TABE) testing process. 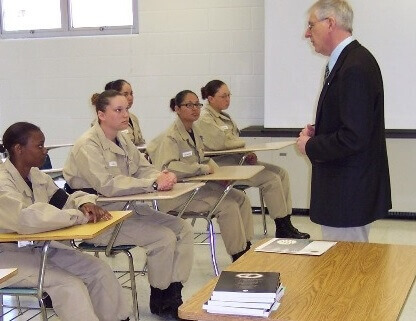 Cadets also explore the knowledge and skills required to pursue future educational opportunities. Cadet have the option to work on Credit Recovery using a Virginia Department of Education virtual learning program. Students are able to earn up to six high school credits while attending ChalleNGe. Cadets learn skills designed to last a lifetime. Increased self-esteem and self-discipline are gained through a combination of classroom activities, group discussions, and a structured living environment. Cadets learn how to identify and self-regulate emotions, such as anger, grief, frustration, and stress and how to utilize conflict resolution strategies. ChalleNGe provides the educational resources necessary to foster fiscal responsibility, helping cadets understand personal finance, basic banking, obtaining and managing good credit, and preparing and managing a personal budget. Cadets prepare for long-term, gainful employment. Career exploration is accomplished through career assessment and interest inventories, job-specific skills orientation and awareness, and training in area vocational centers. Specific classroom activities focus on developing individual resumes, completing job applications, and preparing for and conducting job interviews. 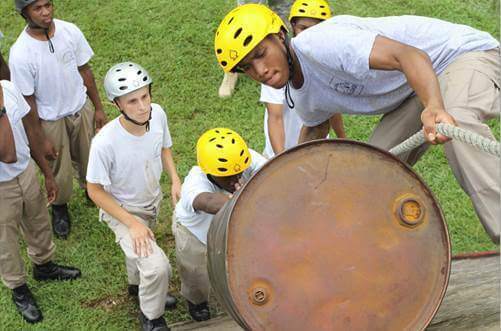 Cadets learn the value of a healthy, well-balanced lifestyle. 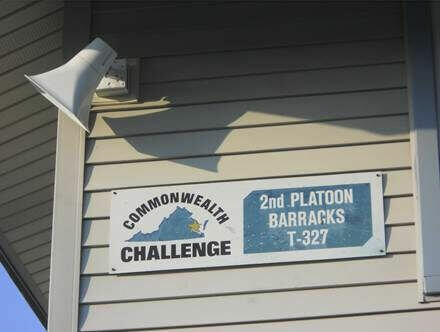 ChalleNGe offers a holistic approach that combines physical and mental well-being as cadets explore the effects of substance abuse and sexually transmitted diseases on their over health and well-being. 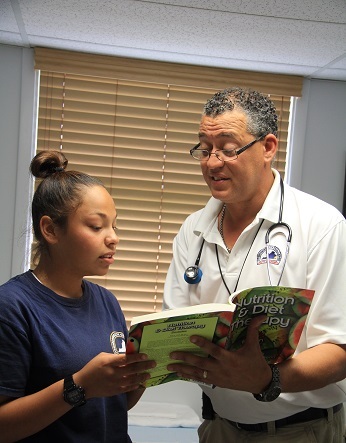 Cadets learn the physical and emotional benefits of proper nutrition through participation in classes and structured group discussions. Cadets discover their role in the democratic process and learn their rights, privileges, and obligations as United States citizens. The U.S. Government structure and processes, along with individual rights and responsibilities at the local, state and national level, are addressed in the classroom environment, in the student government process, and through practical experiences within local communities. Those who are eligible register for selective service and to vote. Cadets realize the value and importance of giving back to the community while performing a minimum of 40 hours of service to the community and/or conservation project activities in groups and on an individual basis. These activities provide additional opportunities for career exploration and enhance community-needs awareness in Cadets. Cadets develop strong character while identifying and applying individual moral and ethical standards to perform various roles and responsibilities in a structured group environment. 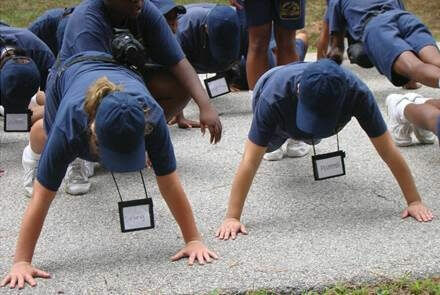 They learn to willingly comply with established rules, regulations, and procedures; perform basic military customs and courtesies; define and recognize leadership skills, traits, dimensions, and components; employ leadership skills while performing in a leadership position; maintain a personal living area; and function as an effective team member. Physical fitness becomes an integral part of cadet daily life. Cadets perform physical training based on the President’s Challenge, a test battery based on data collected from a variety of sources, including the 1985 President’s Council on Physical Fitness and Sports National School Population Fitness Survey, the Amateur Athletic Union Physical Fitness Program, and the Canada Fitness Award Program.